This has already been posted on tumblr, but I’m going to follow Jowita‘s lead and post here too. Thanks for the tag! ► Name? ➔ Princess Carolyn Diffy is my full name, but please just call me Lyn. ► Are you single? ➔ Not exactly, but it’s not official or anything. It’s complicated. ► Are you happy? ➔ I’m just fine. ► Are you angry? ➔ I try not to be, at least not at people. I’m a bit angry at the situation, though. ► Are your parents still married? ➔ Yes, they’ve been together forever. ► Birth Place? ➔ Storybrook City, delivered at the hospital where my dad is now a doctor. ► Hair Color? ➔ Naturally a very dark brown or black, but I’ve been bleaching my tips since I was in high school. The plain color reminds me too much of my mom, and it’s just fun. ► Eye Color? ➔ Amber, like my mom and grandma. ► Birthday? ➔ August 16th. ► Mood? ➔ I said I’m fine! ► Summer or winter? ➔ Winter. I have awesome memories of snowboarding as a kid. ► Morning or afternoon? ➔ Morning, when I get sh*t done for my job, either making sure the fire truck is fully maintained or working out. I really need to prove that I’m ready for more. ► Are you in love? ➔ I wouldn’t say that, but I do have someone special in my life. ► Do you believe in love at first sight? ➔ I don’t think so. It just seems a little far fetched. ► Who ended your last relationship? ➔ He did, before it could even start. ► Have you ever broken someone’s heart? ➔ I don’t believe so. ► Are you afraid of commitments? ➔ No. I’m not afraid of many things. ► Have you hugged someone within the last week? ➔ Yes, see special person above. ► Have you ever had a secret admirer? ➔ Not that I know of, duh. ► Have you ever broken your own heart? ➔ I might be soon, with what I’m thinking of doing. ► Love or lust? ➔ Lust. There has to be an attraction first, though that’s not all I care about, of course. ► Lemonade or iced tea? ➔ Lemonade, especially if it’s homemade. ► Cats or Dogs? ➔ I’ve grown up with my dad’s dog and my mom’s cat all my life. I think I prefer the dog, Chloe. She’s just so loving, and it’s fun to take her on walks. ► A few best friends or many regular friends? ➔ A few best friends, because that’s what I’ve got. Sammi is my best friend, and my cousin Noel is another good friend of mine. ► Wild night out or romantic night in? ➔ Wild night out! My special someone is a vamp so that’s the only time she can go out anyway. ► Day or night? ➔ Night. See above. ► Been caught sneaking out? ➔ No, but I’ve been caught out late by the curfew police! ► Fallen down/up the stairs? ➔ No, I’m not really clumsy, just the normal amount. ► Wanted something/someone so badly it hurt? ➔ Oh, definitely. It’s getting so frustrating. ► Wanted to disappear? ➔ When I found out from my crush that I was related to him, I just ran! ► Smile or eyes? ➔ Smile. She has the cutest smirk. ► Shorter or Taller? ➔ Don’t have a preference there, either way would be cool! ► Intelligence or Attraction? ➔ Attraction, isn’t that how it starts? ► Hook-up or Relationship? ➔ I’d prefer a relationship, instead of this in-between thing we’ve got going on. ► Do you and your family get along? ➔ For the most part, though I can tell my mom is judging me sometimes. She never says anything, though. ► Would you say you have a “messed up life”? ➔ Up until recently, no. I think my childhood was pretty normal. It’s just my current situation that’s a little messed up. ► Have you ever run away from home? ➔ No, despite what I might have said, my parents are very loving and have always provided everything I need and more. ► Have you ever gotten kicked out? ➔ No, they wouldn’t do that. ► Do you secretly hate one of your friends? ➔ Hahaha, no. I’m not that b*tch. ► Do you consider all of your friends good friends? ➔ No, I have more casual friends too. But mostly a few really good friends. ► Who is your best friend? ➔ Sammi Dutiel, like I mentioned before. We met in high school and bonded over homework. ► Who knows everything about you? ➔ I don’t think anyone knows everything about me. Everyone in my life knows different parts of me. Hopefully my special someone will one day want to know me that well. That’s it for now! I guess I’ll see you in, uh, two months time since that seems to be my schedule now! It’s been almost exactly a month since I updated. I do miss the Diffys, and the reason for the delay in chapters is because of a Diffy, Nyota Diffy. For some reason I got it into my head that I wanted to get another Wayfare chapter out before updating the legacy again. I just feel so rusty writing anything story-driven that it takes me a lot longer to make those updates. Also I think it’s more difficult to write chapters on my phone than a laptop or pc, and I at the least need to proofread on my pc before publishing chapters, and I don’t have as much time on it because me and my boyfriend are sharing our desktop since my laptop died. Speaking of that, removing my laptop’s hard drive wasn’t too difficult, and after that it was really easy to move the files I needed onto my desktop. Installing Sims 2 went really well and I didn’t lose anything in the process. 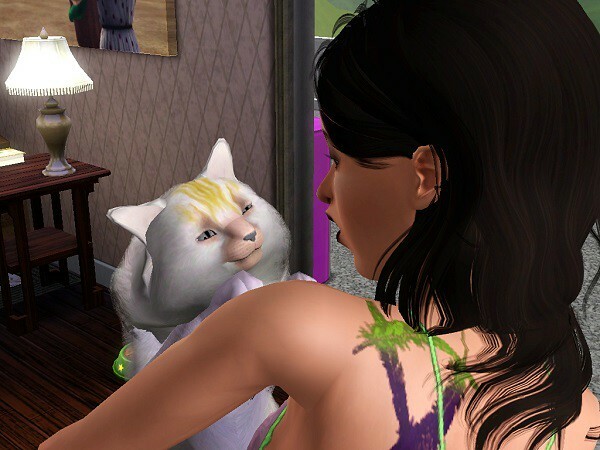 I’ve actually been playing a challenge in Sims 2 for a few months, and I finally started a blog for it, which you can check out here: Lee Baby Boom. 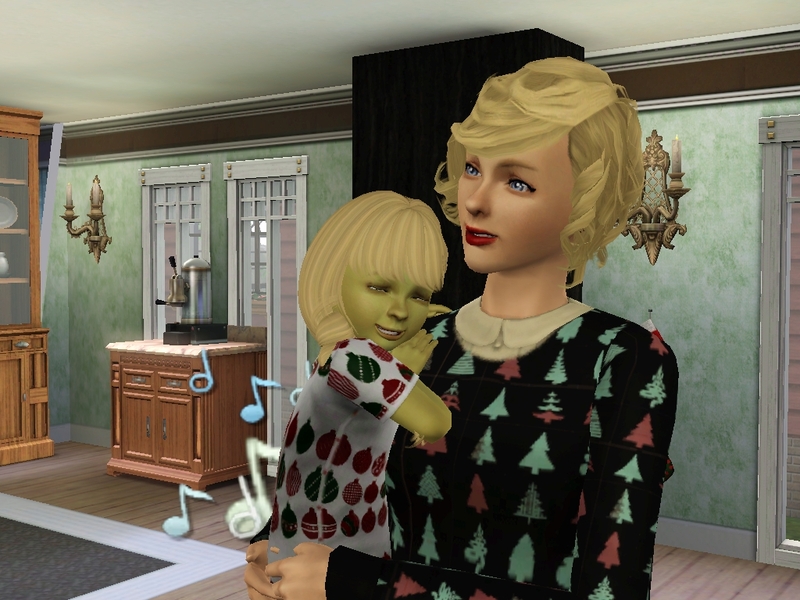 I already have around 7 chapters written for that and I am having so much fun playing Sims 2 again. Ideally I want to update the Diffys twice a month, Wayfare once a month, and the Lees whenever. I’m hoping that the Wayfare story and the Diffy legacy will end at around the same time. Real life stuff: my VW beetle broke down recently and the engine was toast. I have put so much money into it over only 3 years, and this was the final straw because even though I absolutely love it, it’s been a financial sinkhole for me. All that to say, my life over the past week and a half has been consumed by car shopping, and I am finally the owner of a Honda civic, so a lot of stress has just been removed from my mind. When I saw Jowita of Neverdoitagain post a genderbend challenge (which was started by AmyQueen), I just had to do it myself, too. Makeovers and seeing different genetics are some of my favorite things in this game, and I had so much fun doing this. All 10 generations included, since Princess Carolyn has just aged into a young adult in-game, so be prepared for a ton of pictures! Hello! Hope everyone is having a good holiday season! This is the first time in a couple years that I have not felt very overworked at this time of year, so I was feeling the Christmas spirit and decided to just go and take some pics of the Diffys enjoying the season. Jon Snow is a brave, brooding night owl who loves the cold. His favorites are hip hop music, mac and cheese, and Irish green. As a child he loved looking for monsters and staring broodingly out the window. He still loves brooding and spending time with his twin, Sansa. Genetics: Jon has his mother’s coloring, eye shape, and nose with his father’s lips. He looks pretty similar to Christine but isn’t a clone, either. Sansa is a proper, athletic supernatural fan who loves the cold. Her favorites are country music, grilled cheese sandwiches, and lime. Sansa can be found perfecting her curtsy and babysitting her younger siblings because their mom thinks she is the “responsible” one. Sansa has also been known to quip a witticism or two. Genetics: Sansa gets her skin color, eye color, eye shape, and nose from her mother, and her hair color and mouth shape from her father, so she and Jon are basically gender bent versions of each other except for their hair. Theon is a good, nereurotic, inappropriate Sim who has an eye for the avant garde. His favorites are the Latin music, vegetarian grilled salmon, and the color black. Theon is a pretty passive guy who tends to go along with whatever his siblings are up to. Judging from his traits, there’s lots of checking sinks and eating random dirt in his future. Genetics: Theon has his mom’s coloring, nose, and mouth shape, and his father’s eyes. 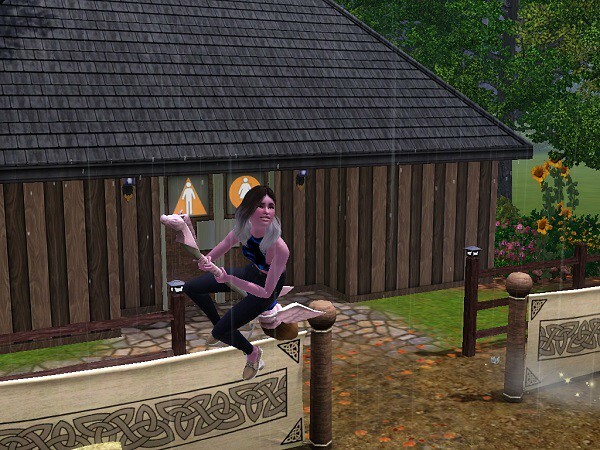 Brienne is an athletic and brave Sim who is also unflirty and socially awkward. Her favorites are geek rock music, pumpkin pie, and pink. Brienne was hit especially hard by her grandparents’ death, but as a teenager she will bravely look to the future. I’m a little worried about her with the combination of unflirty and socially awkward, so we’ll just have to see how that goes. Genetics: Brienne gets her hair color, skin color, and mouth from her mom, and her eye color, eye shape, nose, and face shape from her father. I think she looks the most different from Christine because everyone else has her nose and face shape. The poll will be up through 11:59 pm on Christmas day (that is, if I set this thing up correctly >.>). The next regular chapter will probably go up during that week after the poll closes, so that means there won’t be a chapter next week, just a heads up. 1. Congratulations! You’ve been nominated for a totally legit award. Get a gold star and stick it on your forehead like a boss. Anyway, on to the favorite moments/photos! This is the wedding of my founders, Phil and Keely. It was just a simple private wedding on the beach, but I thought they were so cute and ended up taking a lot of pictures. Beach weddings are just gorgeous. I was kinda shocked when I got this picture. Keely died at the fall festival, and even though everyone was sad, I still had them take a picture together because they had wishes for it. When I sent them to take the picture, one of the people I could choose to take the picture with was Keely, so I did. And to my surprise she really is in the picture! You might not know this, but in my second generation there was a lot of focus on the cats. They sometimes took up whole chapters. So when one of the first cats I had adopted died, it was very sad for the whole family. This picture is just a simple interaction between cats, but to me it looks like Buster (on the right) is comforting his son, whose mother just died. I was very impressed with how emotional they looked. This is my third generation couple dancing at their son’s wedding. I thought they were so cute, and definitely my most loving couple. My fourth generation parents ended up having twins, which was totally unexpected to me. Their mother, Maura, certainly danced to the radio a lot, but not to kids music because I had her listen to her favorite, which was country. These were my first natural twins I have had in the game. I love this photo because all three girls in it felt like outcasts at some point, but they had to stick together to make it. 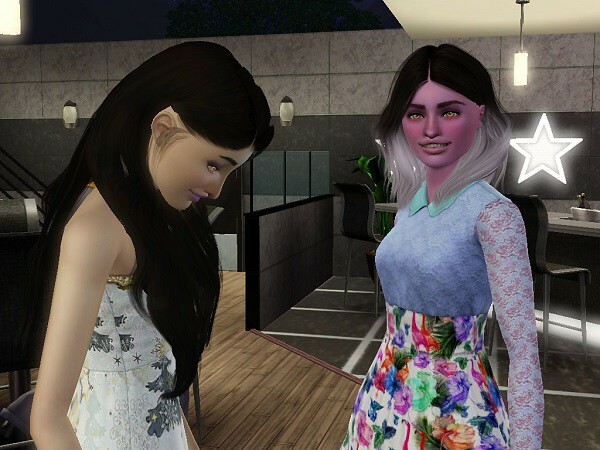 So we have Kim on the left, floating above the ground because she was a ghost at this point, then Emmie in the middle, a clone, and Jane on the right, who was getting attention at university for being a “berry”. I really like this moment because Wanda showed up on her own randomly right as Aidan got the popup that Margarita was standing him up. I had really intended for Aidan to woo Margarita because I just thought that she was really pretty, and I wanted him and Wanda to always be good friends. But then Margarita stood him up, and Wanda happened to show up, and it just seemed right to switch my attention to her. Wanda was my second choice, but I really grew to love her and I think she was a lot more interesting than Margarita would have been. I have to include a pic of Tom and Gwen because I just love them so much. I had a lot of fun taking pictures of them, and I can imagine with this one that they just got finished working out together and collapsed onto the sand. Tom and Gwen may be my favorite couple; they’ve just been so fun to play on a generation that I honestly thought would be boring. They made all the difference. Okay, it’s more than five, but I’ve got eight generations of pictures, so I think it’s fine. Bonus round: accidental deaths and birthday fires! This was not my first cake fire in game, but it was the first birthday cake fire of this legacy, on my generation two heir’s birthday from child to teenager. This guest is responding appropriately. The cowards are the smart ones, really. Oh. Uh, sorry? Enough tempting death for now. Kim, Kim, Kim. If you hadn’t wished for free soda this would never have happened. Not so free now, is it? It’s a sign, Emmie! You should just stay in this house forever! And of course my current heir had to nearly give me a heart attack on his age up. He’s just evil like that. Hi, this is Emmie here. Well, this is my house. Hi Charles! 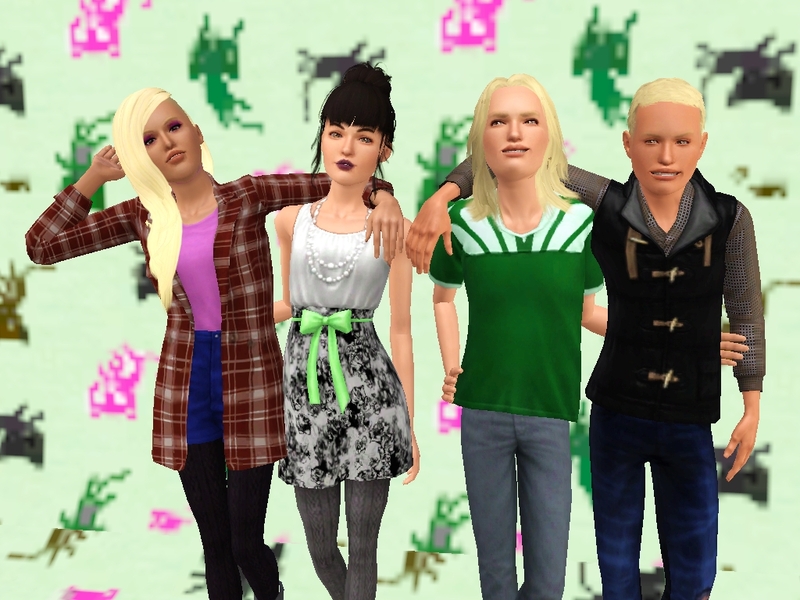 How about a little update on my family? Tarik is my middle child. He’s always been my shy little boy, but as an adult he did eventually marry one of the Morgans, Janice. I have two granddaughters from them, Ichelle and Rena, who are simply gorgeous. All three of my kids have always been very into the arts, in all different forms, and are very creative. We’ve spent a lot of time at the museums and library in town while they were growing up. Brandi is the oldest, and she has flourished in the athletic career during her adult life. She is married to Benito Jones, and they have one son, Rick, who is a handsome little boy. Kerri is the youngest, and, I must admit, the child we’ve had the most trouble with. But she’s come a long way, and she’s still young yet. Charles and I are both retired, and he spends most of his days resting now. Kerri has honed a creative instinct for baking and cooking, and is starting to make a career from this, as I did. For now she is at the diner, and works on more interesting dishes at home. Even though Brandi and Tarik moved out long ago, Kerri still lives at home with us, and it really is a great help now that we are getting up there in age. I’ve found joy in seeing my children grow and create families of their own. I oftentimes felt as though I had no one to guide me as I was growing up, but I have made sure that was not the case for my own children. Late in the night, Kerri returns to the museum on foot. But an hour later, she calls a cab from the junkyard, and returns home with a thrill running through her at a certain thought she has. Kerri: More treasure buried in trash just waiting at the junkyard. Will anyone ever find it?